Solving Your ‘Greatest Constraint(s)’ Will Lead to ‘Business Growth’! What is the ‘Greatest Constraint‘ holding your business from ‘Exponential Growth‘? 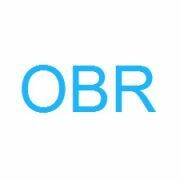 Sales, Production, Expenses, Supply chain? Since the business ecosystem is all ‘Interconnected’, significant changes to one ‘area’ will require updates to ‘associated’ areas. As an example, increases in sales will require more production capacity or services rendered. Some questions must be considered: Can Production handle the ‘new’ rate? Can the increase in production occur without a detrimental effect on Quality? Can the ‘Efficiency Systems’ handle the production increase? The point being, if you solve your ‘Greatest Constraint(s)’, can your system adjust accordingly? There is a ‘Theory of Thought’ on production constraints which has merit. Largely popularized by Eliyahu Goldratt’s ‘Theory of Constraints’ which theorizes that focusing ‘Improvement Efforts’ on the ‘greatest constraint(s)‘ can lead to ‘MassiveGains‘ in productivity. From this perspective, it is ‘worth the effort‘ to consider the ‘list of constraints’ and constructively manage efforts at ‘prioritization and solutions‘. Discovering your systems greatest constraint(s) works in conjunction with today’s Lean‘Value Stream Map’ (VSM) approach to systems optimization. A VSM plots out the ‘Process Steps’ from product request to customer delivery. Each Process Step identifies the metrics of ‘Lead Time’ (to include ‘queue time’ prior and post the ‘process step’), ‘Process Cycle Time’ (Time to complete the operation) and ‘Percent Correct and Accurate’ (Quality Level). Basically, with a Value Stream Map you are looking at the ‘efficiency’ and ‘quality’ of the entire system at each ‘step’ in ‘Production or Service delivery’. A current ‘VSM view’ will uncover system constraints. The ‘VSM Team’ approach provides ‘insight’, ‘discovery’ and ‘agreement’ on system ‘hindrances’ (constraints). ‘Current system constraint’ solutions set up the creation of a ‘Future’ system’. Time is always a ‘limiting factor’. It is the one constant constraint across all production. From this metric, additional constraint variables can be considered. Quality, automation, expenses, efficiency, supply chain, sales…. From the VSM view, the team can identify and prioritize ‘system constraint(s) with solutions’ in terms of ‘time and cost’ for implementation. Planning for improvement requires real time and cost calculations. The factors of ‘Low Cost’ and ‘Ease of Implementation’ raise the priority of improvements on the ‘to do‘ list. Improvements can be divided into ‘Just do it’ (less than one day), ‘Kaizen Sprint’ (one week or less), ‘Project’ (three months or less) or ‘Parking Lot’ (beyond three months). All conceivable production constraints can be categorized. Setting long-term company direction has a special top-level view and approach. It is important to consider company strategy development in a time frame of one to three years. Many ‘Lean’ practitioners use the ‘Hosin Kanry’ methodology to ‘hone in on’ current tasks required for delivery of company strategy. 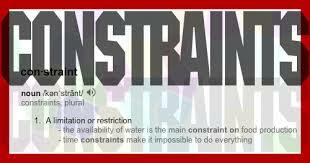 The constraint solutions discovered in the ‘Value Stream Analysis’ give credence to your business strategy. Discovery and resolution of system ‘constraints’ ‘sets the stage’ for clarity on new business development with a ‘Blue Ocean’ view. (Create untapped markets for new product consideration). Discovery of current ‘production constraints’ leads to ‘Clarity of Thought’ and implementation of ‘solutions‘ to improve business systems. This improvement in operations and sales leads to ‘Business Growth’! 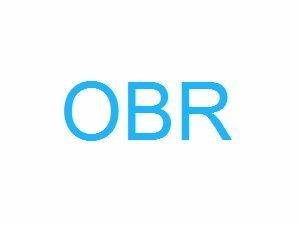 OBR Optimization Engineering: Lean Six Sigma CI, ERP Software Development, Quality Systems Enhancement, Business Process Improvement, CI Project Work. www.OBREngineering.com; POC: Todd Adams, Todd.Adams@OBREngineering.com; (424) 241-0290. As the Famous Sales Guru Grant Cardone says, 10X your OBSESSION! https://www.obrengineering.com/wp-content/uploads/Constraints.jpg 163 310 Todd Adams http://www.obrengineering.com/wp-content/uploads/2018/01/OBR-Blue-White-180x180.jpg Todd Adams2017-09-27 19:02:182018-01-28 19:08:25Solving Your 'Greatest Constraint(s)' Will Lead to 'Business Growth'! ‘CI’ Leads to ‘Business Survival and Business Growth’! An ‘Optimized Layout’ Leads To ‘Business Growth’! ‘Standard Work’ Leads to ‘Business Growth’!